An effective aid in smoking cessation, Chantix has helped more individuals quit smoking and remain quit than similar medications like bupropion and nicotine replacement therapies, including patches and gum. There are several side effects of Chantix that smokers should be aware of before trying this method of quitting, however. These side effects range from mild symptoms that are often already associated with nicotine withdrawal (headache, nausea, etc.) to more serious psychiatric symptoms like depression and suicidal thoughts. 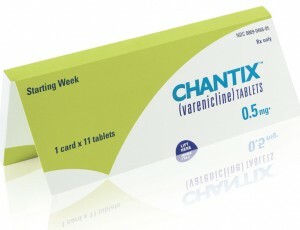 Another side effect of Chantix reported by several users is unusual dreams or extremely vivid nightmares. Some of these symptoms may improve as the treatment continues. If the side effects become troublesome, contact your physician to discuss other options. There may be other side effects that are not listed here. Discuss any changes in your physical or mental wellbeing with your doctor while you are taking the medication, as well as after the treatment. One of the most alarming side effects of Chantix is the psychiatric symptoms some users experience. Occasionally, individuals will experience changes in their mental state as a result of nicotine withdrawal, even without cessation treatment, but the FDA notes that these side effects were observed in Chantix users who were still smoking as well as those who were not. Some patients encountered the side effects early in their treatment, while others didn’t show any symptoms of mental illness or behavioral changes until much further into the treatment cycle. The effects are often more serious among users with a history of mental illness. Recent studies (July 2011) conducted by the FDA have concluded that Chantix may increase the risk of certain heart-related conditions, particularly in patients who already have cardiovascular diseases. If you have a heart condition or a family history of heart disease, be sure to tell your doctor before deciding to use Chantix. There may be other smoking cessation medications with a lower risk to cardiovascular patients. Common complications include heart attack, angina pectoris, and irregular heart rhythms. For many people, Chantix has made it possible to finally quit smoking and to stay quit. Not everyone quits smoking with Chantix but it is a very effective cessation method for those who do quit. Remember that some side effects are serious and sudden. Contact your doctor immediately if you notice any changes in your overall health and wellbeing. Also be sure to let your physician know of other medications you are taking to prevent any adverse reactions.